Rajeev's World: All Decked up for the Monsoons! While everyone in the city is complaining about the heat and humidity, I love to think otherwise. After a few showers last week, the city looks a bit more cleaner, a bit more brighter. The rain washed down the suspended dust in the air, reducing the pollutants. Now look at it from another perspective, the skies look bluer, the bright and intoxicating hue of blue - that kind of blue that makes the whole world around me look pretty. And the sun shines a bright yellow these days, complementing the bright blue hue of the sky. Walking down the very uncrowded lanes of Bandra Kurla Complex post lunch, I can't help but appreciate the glow of the dense green foliage in some locations - all this magic woven by a few short showers, which we call the pre Monsoons. 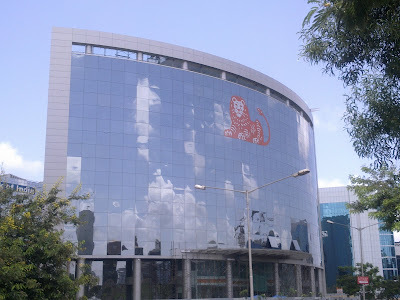 And big white clouds which look like huge balls of cotton float around the sky in gay abandon, their splendour reflected in the glass facades of buildings in Bandra Kurla Complex! 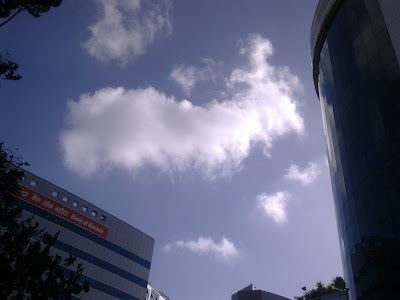 Coming to office these days has a special charm. From my seat I get a clear view of the Mithi River with lush green mangroves on both the banks. The Gulmohurs on the banks on the Mithi look aflame with their red flowers! And the Mithi itself gently flows, reflecting the blue sky giving a false sense of calm. 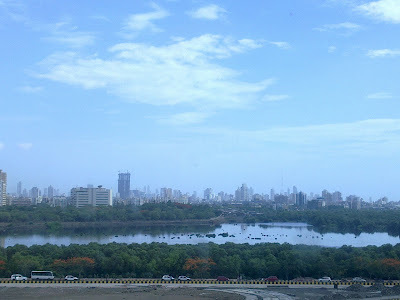 And it was the same river that wreaked havoc in Bombay on that fateful night of July 26, 2005. And one does get a clear view of Mahim, Worli, Lower Parel and Prabhadevi. The city's newfound symbol - the Bandra Worli sea link looks splendid in the bright yellow sunlight. All this beauty is temporary - is only here for a few more days till the Monsoons come in. 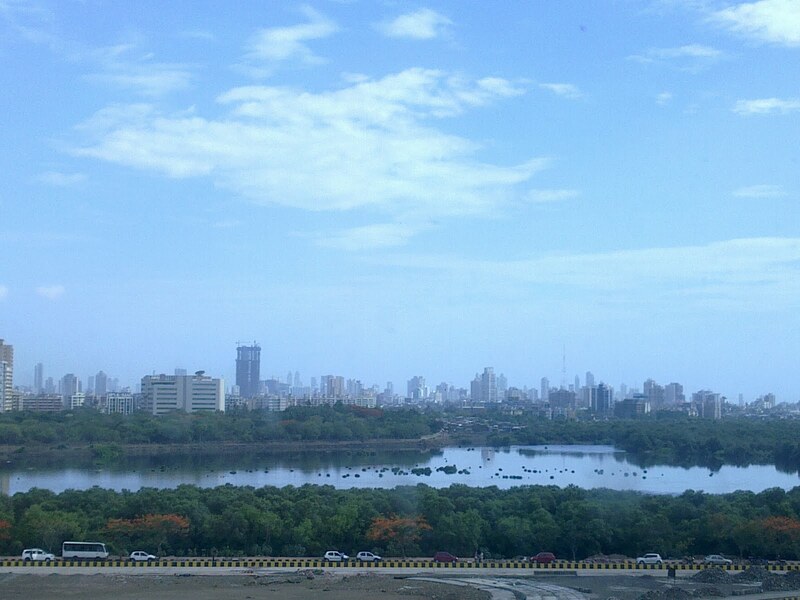 Or shall we say Bombay is all decked up for the Monsoons to come in?